Cuban Style Yellow Rice. Rice gets its yellow color from annatto seed powder and paprika. 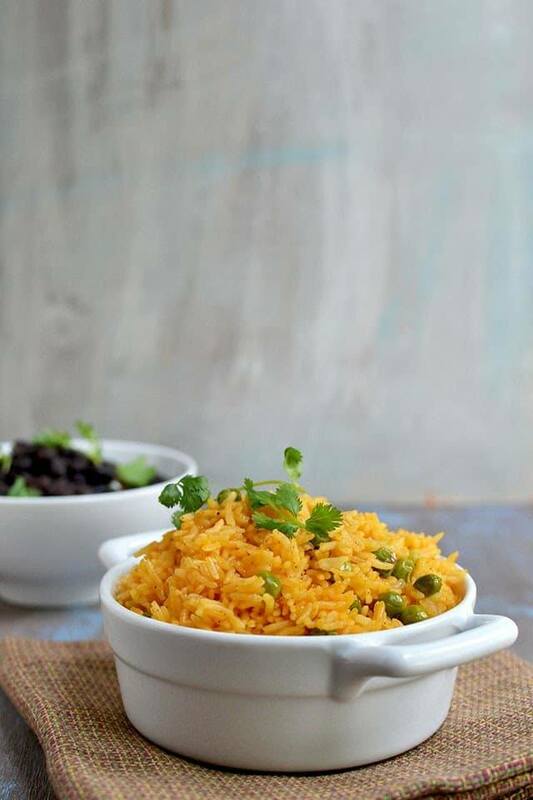 Yellow rice is a staple in the Caribbean because of its color and flavor. Combine rice, 2cups of water, onion, annatto powder, paprika, salt and pepper in a saucepan. Bring the mixture to a boil. Lower the heat, cover and simmer for 15~20 minutes or until all of the water is absorbed and rice is tender. Stir in the peas 5~7 minutes before the rice is completely cooked through. Turn off the heat and let it rest for 5~10 minutes before serving.